Fill in the blanks Feb 2015. 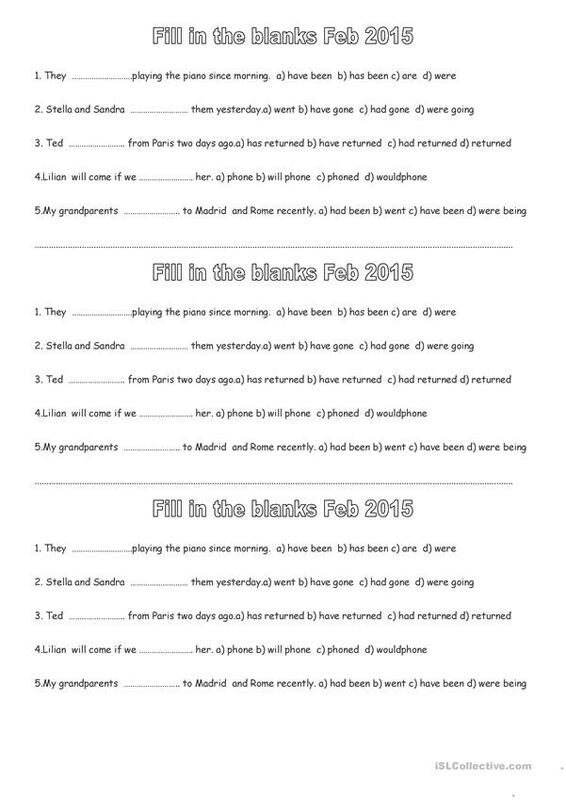 B &W worksheet to review tenses and adverbs of time. It would be a good idea to check the use of adverbs first.Students can provide their own examples too.Hope you like it. This printable, downloadable handout is meant for high school students, elementary school students and adults at Elementary (A1), Pre-intermediate (A2) and Intermediate (B1) level. It is excellent for honing your pupils' Speaking and Writing skills.